Sinha, a two-term sitting MP from Patna Sahib, also slammed the BJP for doubting the feasibility of the proposed scheme. 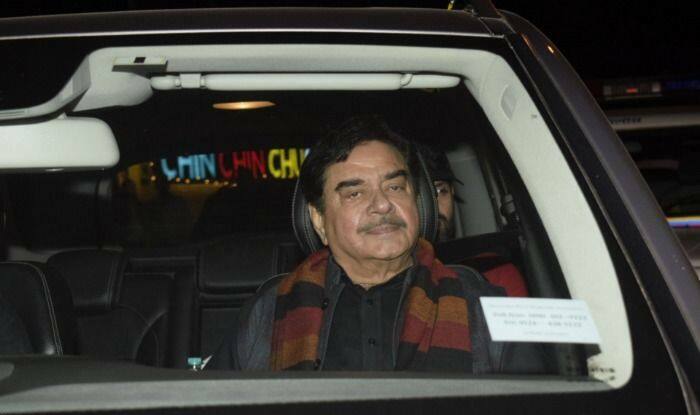 Actor-politician Shatrughan Sinha, who is all set to quit the BJP and join the opposition alliance in Bihar, Tuesday showered praise on Congress chief Rahul Gandhi, calling him the “master of situation” and his proposed minimum income guarantee scheme–‘NYAY’ a “masterstroke”. Sinha, a two-term sitting MP from Patna Sahib, also slammed the BJP for doubting the feasibility of the proposed scheme and drew a phrase from a yesteryear chartbuster to make his point, “Aap kare to raasleela baki kare to character dheela”. He said he would like to know from BJP leaders that when they announced various “jumlas” about Rs 15 lakh in the bank accounts of every individual, farm loan waiver and subsidies to farmers, and more than two crore jobs for the youth, was that fair. “Aap kare toh rasleela, baki kare toh character dheela! What is right for Peter, should be right for Paul, Sir! The people have welcomed this move and are very excited,” he stated.